Христос Pаждается! Славите! Christus Natus est! Gaudete! Χριστὸς Γεννᾶται! Δοξάσατε! Hristos se Naste! Ma ç riòi-L! LE Christ Est Ne! Glorifiez-Le! ¡Cristo Ha Nacido! ¡Glorifiquémosle! This entry was posted in 12 Great Feasts, Liturgical Music, Miscellaneous and tagged 2018, Christmas Carols, Христос Pаждается! Славите! Christus Natus est! Gaudete! Χριστὸς Γεννᾶται! Δοξάσατε! Hristos se Naste! 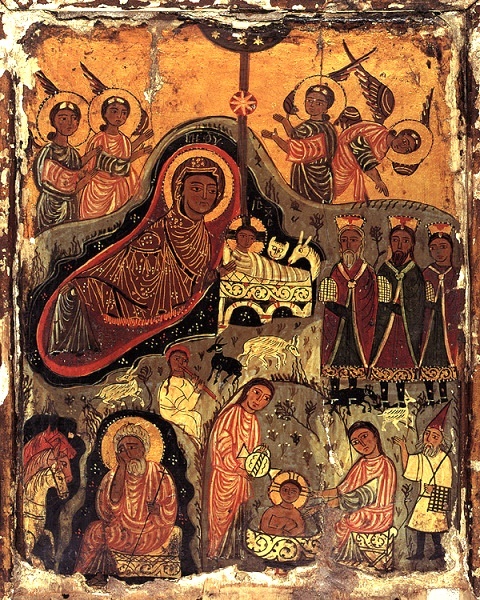 Ma ç riòi-L!, Nativity of Our Saviour Jesus Christ, Orthodox Christmas, St John Chrysostom Nativity/Christmas Sermon. Bookmark the permalink.